"March winds and April showers bring forth May flowers" proverb was first recorded in 1886, yet it still sounds relevant in this day and age! It may be Spring but as we all know that is no guarantee for pleasant weather. If you do not wish to get caught out in the rain this April, The Country Catalogue can help you dress the entire family (including the dogs!) with a huge range of Country Clothing and Accessories. Baleno Nottingham Jacket is the ideal waterproof jacket for Men as it has taped seams making it waterproof, windproof and breathable. Baleno Nottingham Mens Jacket also includes a detachable hood and a variety of pockets, particularly useful if you're on a dog walk for carrying dog leads, whistles and treats. For the Ladies, The Country Catalogue recommends Baleno Kensington Ladies Coat. Baleno Kensington Ladies Coat combines country style and practicality perfectly. Like the Nottingham Jacket, this coat is waterproof, windproof and breathable. The longer length of the coat makes the Kensington the perfect coat for dog walking and other country pursuits. Flattering shaping at the waist and thoughtful contrast piping combine to ensure a smart and feminine style. To keep your Children warm and dry out and about in the country, The Country Catalogue suggests Seeland Eton Kids Jacket. Waterproof zippers, great mobility and a detachable hood make it suitable for all kinds of weather. The addition of velcro closure in the sleeve and an adjustable bottom, make the Eton jacket a comfortable and practical children's coat. Not forgetting the doggies, why not treat your four legged friend(s) to a Green Towelling Dry Coat. The Towelling Dry Coat includes a thick belt for added chest cover and adjustable velcro fastenings at the neck and belt to ensure the perfect fit for your pooch! The towelling material is super absorbent and double thickness to ensure your dog keeps warm and dry. Recently new in are Hoggs of Fife Field Sport Cotton Lined 365 Wellingtons. Made with a cotton lining, these wellingtons are ideal for all season wear and are made of 100% natural rubber uppers. Hoggs of Fife Field Sport Cotton Lined 365 Wellingtons also include adjustable calf straps for that perfect leg fit and a Vibram® sole for comfort and durability. For those particularly wet or muddy walks with the family, these great value for money wellingtons are ideal! If you find yourself lucky this April and catch the sun or a dry spell, why not consider a country themed picnic with the whole family? The Country Catalogue highly recommends Sophie Allport Pheasant Oilcloth Picnic Bag. Includes extra thick insulation that will keep food and drink cool and fresh for hours, a useful netted pocket on the inside lid and waterproof inner lining. Perfect for days out and about in the countryside. Dogs can join in on the fun too with Sophie Allport Labrador Dog Bowl - Large which has a capacity of 1 litre. Includes a practical non slip rubber rim around the base, ensuring the bowl doesn't tip nor slip whilst your doggie is eating. Alternatively available from The Country Catalogue is Seeland Dog Water Bowl, ideal for outdoor pursuits as it is collapsible making it easy to fold up in a pocket or for leaving in the car. 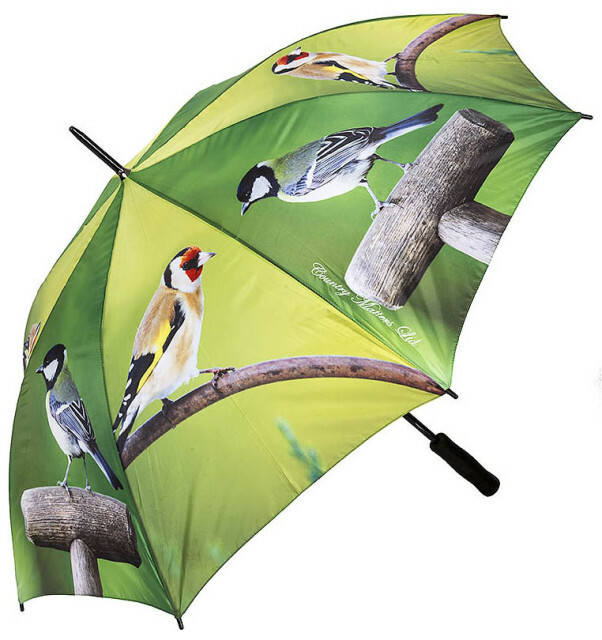 If the heavens do decide to suddenly open, consider a Country Umbrella available in Sleeping Labrador or Garden Birds design. Stylish and striking but practical too, these umbrellas include an easy grip foam handle and an automatic opening.